Zócalo’s daily ideas journalism and free public events aim to shed light on critical issues that explain our shared human condition and ask questions about how we navigate through the world we’ve made. We’re proud that we publish a new poem each Friday with the same spirit and that we’ve been able to award a prize for the last five years to the poem that best evokes a connection to place. This year, a record 443 poets submitted 1,016 poems, taking us to streets in South Korea, markets in Ecuador, and the river that runs through Minneapolis. We received quite a few musings from the desert—perhaps one of the more beautiful after-effects of the prolonged drought still desiccating many parts of the West. third gear, groans toward two hundred feet above black water. tie a rope and unspool as you swim, follow the line back to its origin. soundless prayer —want for freedom in cold deep water. Q. 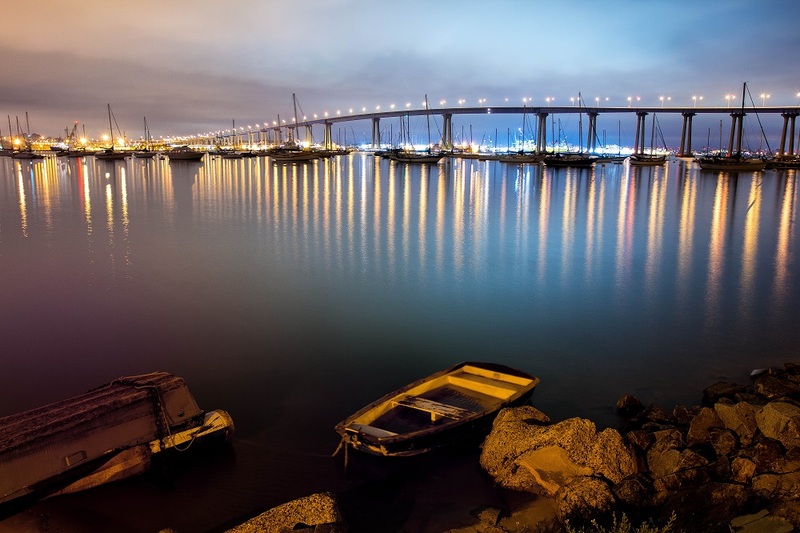 What inspired “Crossing Coronado Bridge”? A. It was a combination of factors. I was reading a lot of poems that have to do with the city, everything from Walt Whitman’s “Song of Myself” and “Crossing Brooklyn Ferry” to William Carlos Williams’ Paterson. And I had been doing research on the Coronado Bridge here in San Diego. I was thinking about bridging the dichotomy of these two bodies of land and the deadliness of the bridge. And then randomly I took a trip with one of my buddies, Vin, a real estate agent, to go fish beneath the bridge. So this is basically the moment of crossing the bridge with him in his little Toyota and reflecting on the camaraderie of going fishing with a buddy, and the idea of the poet being a flâneur, someone who goes around a city and takes everything in. Q. If you had to have one poet’s talent, whose would you like to have? A. Jim Carroll. Jim was a New York-based poet for most of his life, and was a punk musician, too. His work was made famous in the movie The Basketball Diaries, with Leonardo DiCaprio. His book Fear of Dreaming has been with me since I was 12 or 13. It’s here on my coffee table, all taped up. He worked within tradition and expanded things and created his own forms. Q. What’s your favorite place to write poetry? A. I write at a desk I built from an old pallet, sitting in my and my wife’s bedroom. Or I write sitting on an easy chair in the living room. I worked as a reporter for a while—I had an internship at the Denver Post—so I learned to write anywhere, even with activity going on. I don’t need total silence. I like a little noise. A. The subject I return to most is the emotional and physical landscape of being Californian from childhood onward. Living here in San Diego and growing up in the Coachella Valley, it’s the border culture and working-class people. Being Californian is being able to hike in the mountains and surf and run in the desert all in one day if you want, and a confluence of multiple cultures. It also means understanding that not everyone has same views as you. And it’s language—the things Vin says. Q. How do you make a living? A. I’m a grad student now, getting my MFA at the University of Texas at El Paso. I’m currently writing my thesis. So partly on student loans—and I have a fellowship. I also work as an editor for an admissions consulting company part-time. I help people write medical school application essays. Zócalo has been awarding a poetry prize in conjunction with our annual book prize since 2012. Jody Zordrager won the inaugural prize for “Coming Back, It Comes Back,” a poem about returning home to Massachusetts. Our 2013 prize went to Jia-Rui Cook—prior to her joining the Zócalo staff as editor—for “Fault,” a poem about the shifting ground on which Southern Californians live. The 2014 prize went to Amy Glynn for “Shoreline,” about a place where we can sit back and watch the tide roll out and come in. And Gillian Wegener won the 2015 prize for a poem that evoked the intimacy of a diner in a small town in the midst of change. *Photo courtesy of Photos by Clark.